Mount Norquay is a family-friendly ski resort just minutes from Banff with fun runs for the whole family, an amazing ski school, great on-hill dining, and a wicked tube park. Best of all, there aren't long lines for the lifts so you can spend more time shredding! Ski here, then head into town for dinner or a soak in the hot springs for a perfect day. "And now I'm going to take you to the best viewpoint in all of Norquay," Gord tells me and my husband. The winter scene that unfolds before us is undeniably gorgeous with Cascade Mountain to the left and Rundle straight ahead. It's hard to believe we're mere minutes from the town of Banff! The morning passes quickly, but we notice an improvement from when we started. A few key things are sticking and it feels good! We decide right then and there that this is something we need to do more often. Over the past several years, we've focused so much on teaching the girls that we haven't advanced our own skills. Plus, it's pretty fun to ski kid-free once in a while! Little POG heading to her first ski lesson! In high spirits, we make our way to Lone Pine Pub to refill our tanks. Big POG, our little connoisseur, orders salmon and corn fritters off the kids' menu. 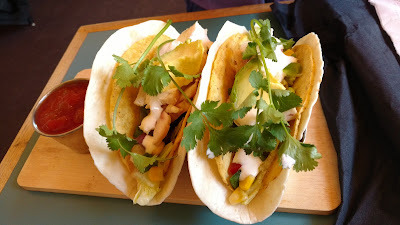 Little POG goes for chicken tacos, my husband gets the salmon burger, and I order the steak sandwich. Everything is delicious and Liz takes great care of us. While we could comfortably lounge all afternoon - there's good stuff on tap and the sunset is beautiful from Cascade Lodge - the mountain is calling. After a few more fantastic runs, it's tubing time! A hot spot at the end of the day, the tube park line moves surprisingly quickly with many people riding down in groups. We soon experience the biggest vertical drop of any tube park in Alberta. It is breathtakingly FAST, but so much fun! We can't get enough and shut the place down. For more information and a video, please see Tubing at Mount Norquay's Tube Town. Fifteen minutes later, we're choosing sweets at the candy store on Banff Avenue. It's the perfect ending to a perfect day! Gotta love a great ski hill so close to town! Location: Leaving your hotel in Banff at 9:15 am and getting to the ski hill at 9:30 am is awesome (especially if you're not a morning person)! Mount Norquay is only 6 km from the town of Banff so there are tons of nearby options for lodging and dining. See my Where to Stay and Where to Eat pages for ideas. Short Lines: We never had to wait long for the chair lift. Spend more time skiing! Small class sizes for group lessons make it easier to learn! Little kid classes (3-5 yrs old) max out at 2 students while 5 year old classes have 3 students. Big kid classes (6-12 yrs old) have no more than 6 students, but usually have only 3-4! Terrain for all levels. There's a magic carpet area for first-timers, and green runs off Cascade Chair and lower half of the Spirit Chair (you can get off halfway). Intermediate skiers will enjoy skiing blue runs off the high speed Mystic Chair before easing into more advanced stuff. 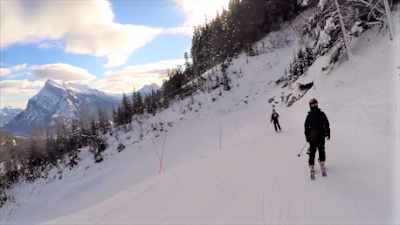 For more of a challenge, check out the Norquay 90 Glades, terrain park, and expert runs off the North American Chair! Friendly staff! Everyone was awesome from management to ski instructors, lifties, and pub staff. The tube park guys even said hi to us in downtown Banff! Great On-Hill Dining Options: Grab a quick bite at the deli/cafeteria in the Cascade Lodge or North American Lodge; or dine at Lone Pine Pub. 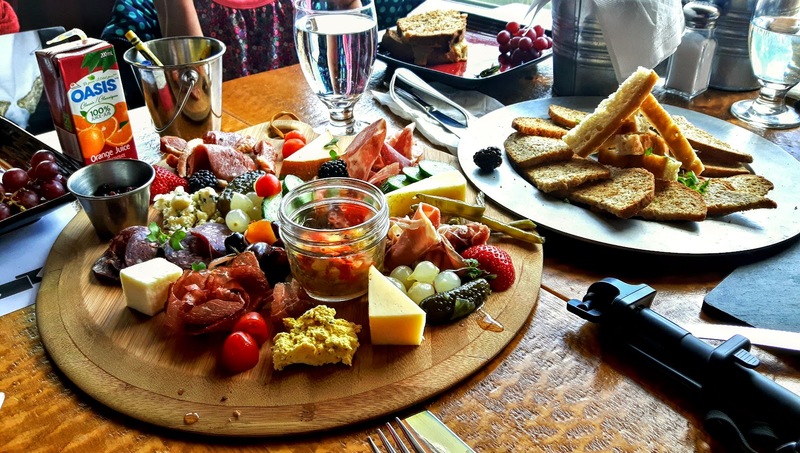 The pub has a great kid's menu, selection of craft beers, and delicious For the best view in Banff, head up to the Cliffhouse Bistro. 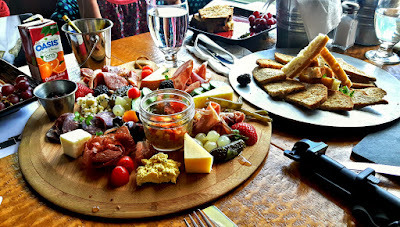 I recommend the charcuterie platter and game & fig flatbread! Norquay's Toonie Days (ski for $2!) are a great way to check out the mountain before you commit to a season's pass. If you plan on skiing a few times this season, the Big Drop Card gives you your 1st, 4th and 7th ski days free with discounted visits in between for the price of one day ticket. 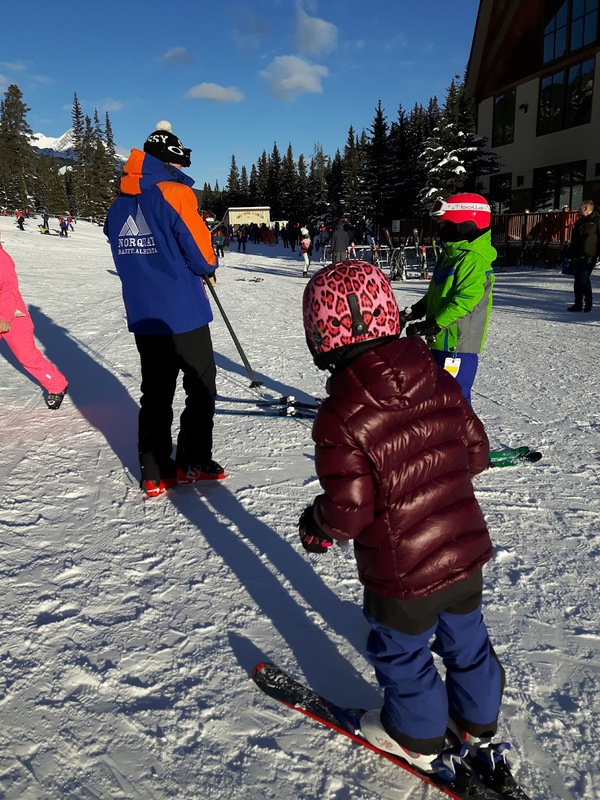 Norquay's Snow School is the longest running and most reasonably priced snow school in Banff! Children's winter programs fill up in September, so mark your calendars! Mount Norquay's tube park has the biggest vertical drop in Alberta so it's super fast and super fun. 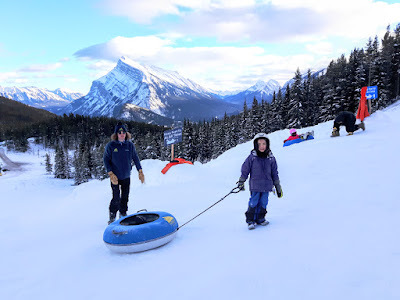 Read about our experience: Tubing at Mount Norquay's Tube Town. 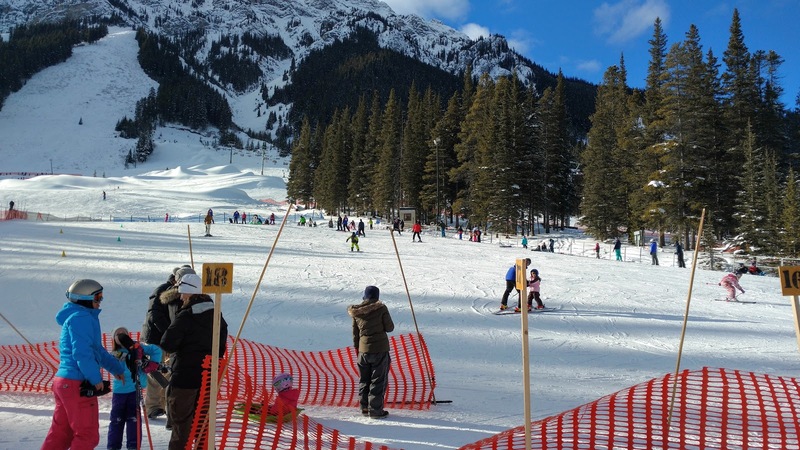 Norquay's Terrain Park has just been upgraded with more fun features! The only night skiing in Banff is at Mount Norquay! Fridays and Saturdays from 5 pm - 9 pm January 2 - February 25. Fridays from 5 pm - 9 pm the rest of the season. 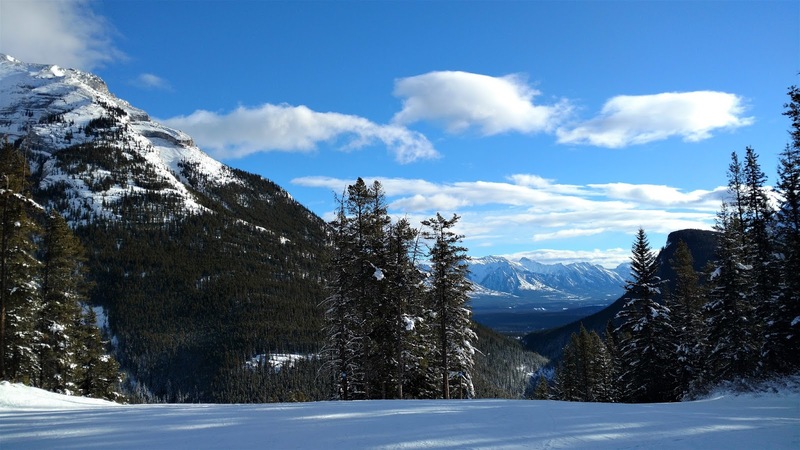 Mount Norquay is Banff's first ski resort! It turns 91 in 2017. Black Magic is one of the steepest runs in Alberta! The sightseeing chairlift is open year round! Enjoy the view from the lookout, then visit the the Cliffhouse Bistro for an amazing lunch. Please see this story for details: Experience Mount Norquay's Sightseeing Chair Lift and Cliffhouse Bistro. Mount Norquay generously hosted us for a day of skiing and tubing, including ski lessons and lunch, but all words and opinions are my own. 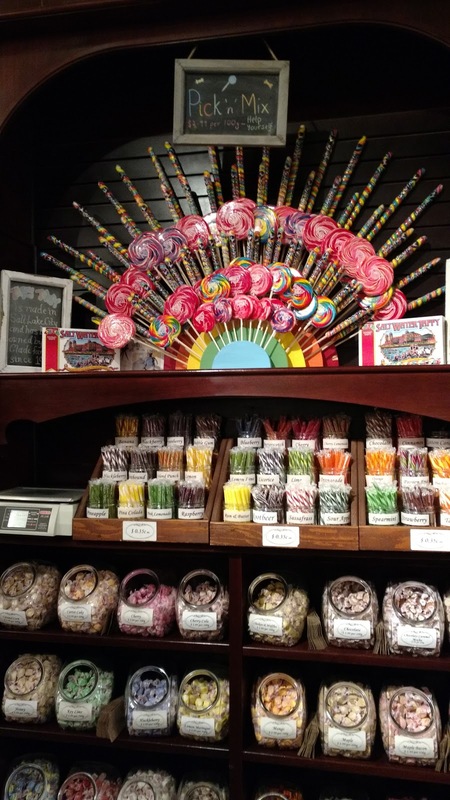 A special thank you to all the friendly staff who made our day great! Now is your chance to win a Mt. 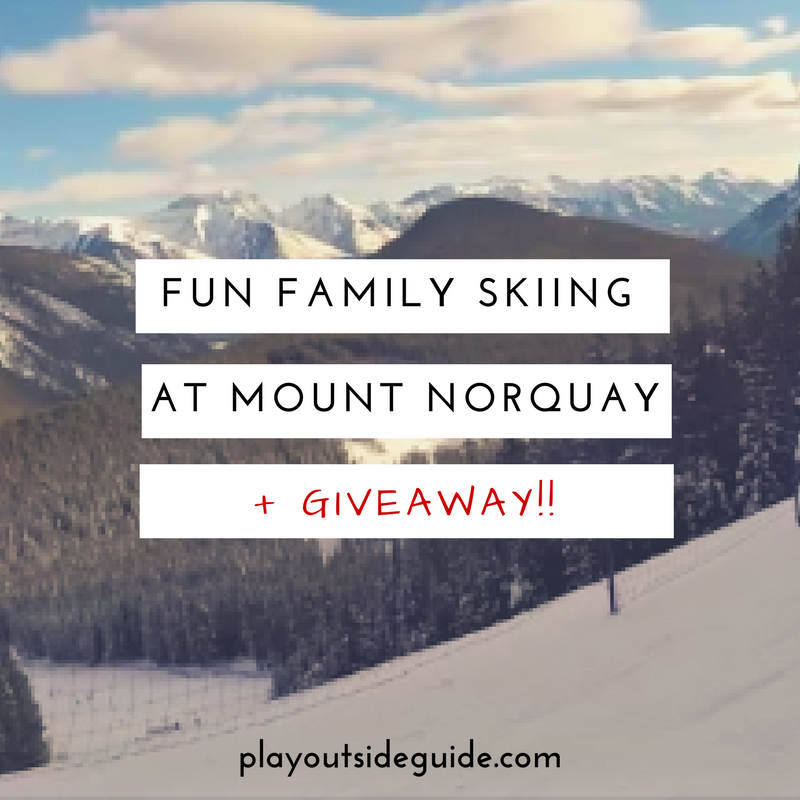 Norquay Quality Time Family Package valued at $149! This package includes Ski Lift Tickets for 2 Adults and 2 Children/Youth (up to 17 yrs.). 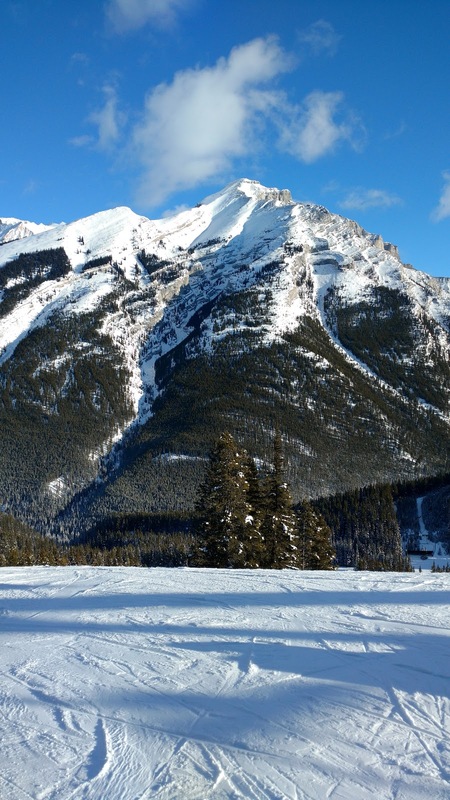 For complete details, see Mount Norquay Deals. Fine Print: Contest is open to Canadian residents only, however, the winner must be able to pick up the prize at Mount Norquay. The Mount Norquay Quality Time Family Package is valued at $149, must be accepted as is (no cash value), and expires at the end of the 2016/2017 ski season. A winner will be randomly selected via the Rafflecopter app. This contest is in no way affiliated with Facebook, Instagram, or Twitter. Contest closes January 30, 2017 at 11:59 pm MST! Good luck! Looks great! I usually consider other ski resorts but your post made me at Norquay to my list!! Love Norquay because it just feels like a family friendly hill. We got there right after Xmas and forgetting our youngest had switched to bigger ski boots we had forgotten to adjust the bindings accordingly. Well a quick trip to the shop and it was fixed so fast and very inexpensively. It's just easier at Norquay. I'd love to try the tubing! Norquay isn't one of the resorts we usually frequent, but it sure would be fun to go. Norquay is my favourite of the closer resorts to Calgary. I don't like crowds or ice, and the other place has both. Mt Norquay is friendly, with varied terrain and often good snow. 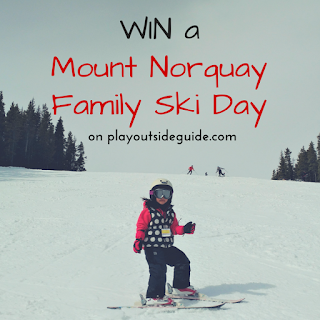 I've never been to Norquay myself, but I am so excited to get my 4 year old zipping down the slopes with me! I have never been to Mt. Nor quay before but it sounds like it has lots of amazing runs to keep my family busy! I have never been to Norquay but so hope to try it this season. I have heard it has lots of beginner terrain to keep me and my 5 year old busy while hubby goes off on the black runs! 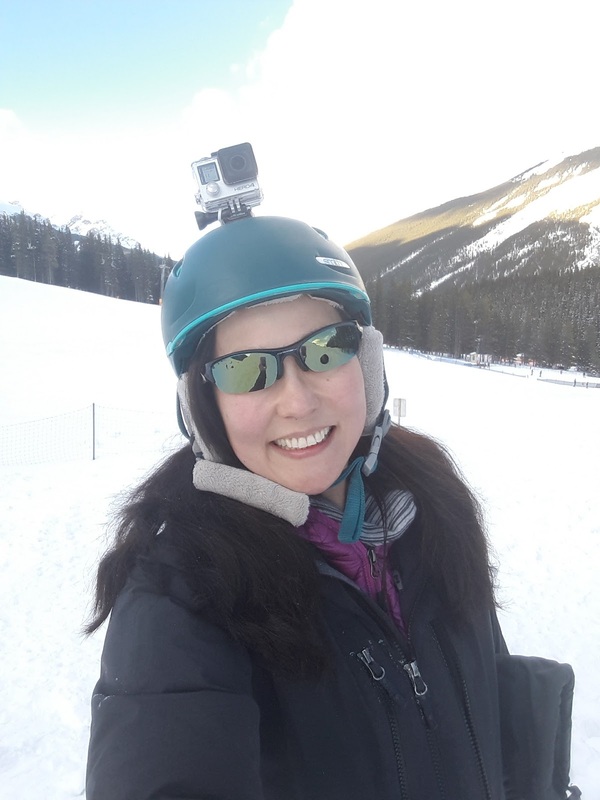 I've tubed and skied at Norquay and enjoyed it! Looks like an awesome day. 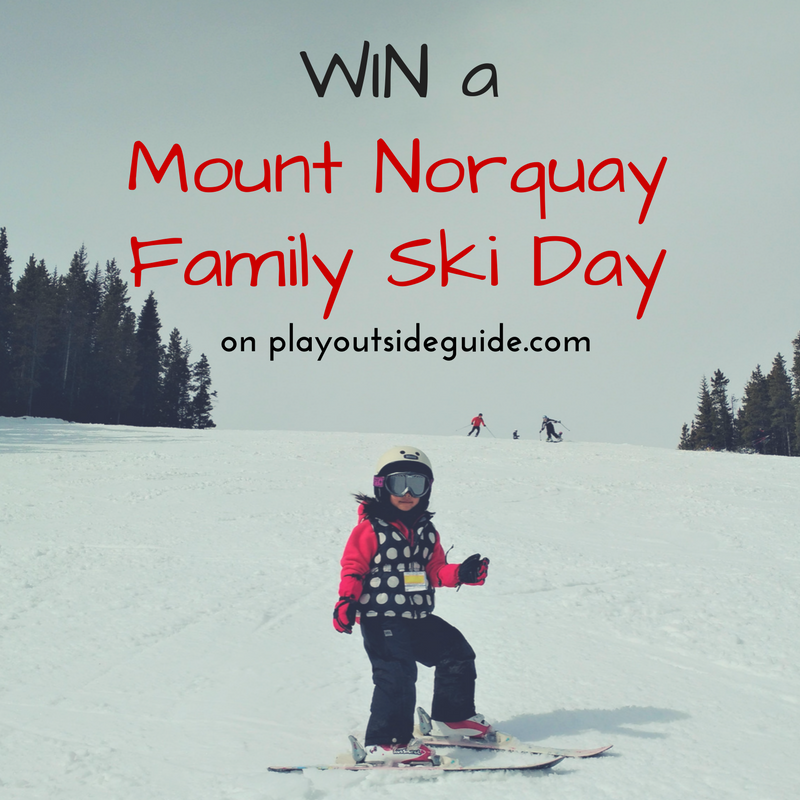 We love norquay! Had so much luck with their mighty mite lessons. Love the value of the power of 4 pass. Would love to try the tube park one day! This is a ski hill we still need to try. Sounds like the perfect family ski day with my hubby and two littles!! I've never been but it sounds like a great place to have my kids try out skiing! Ski the Birkebeiner - Viking Fun For Everyone!